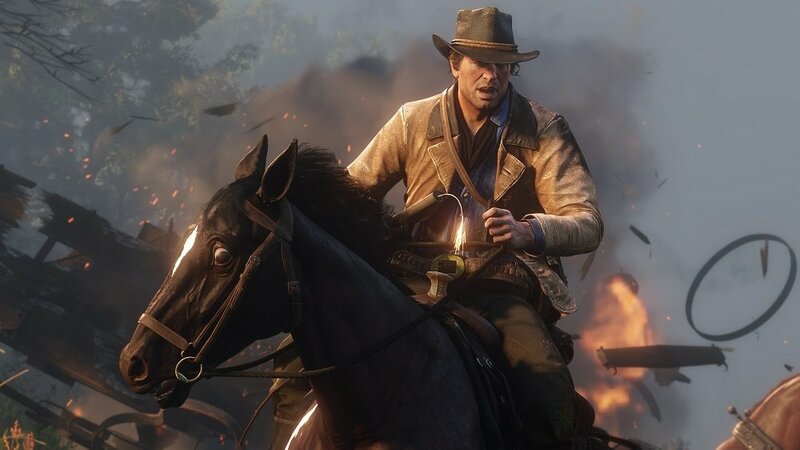 After a few weeks of hanging around the upper echelons of the premier league, Rockstar's epic western adventure Red Dead Redemption 2 has reclaimed the top spot of the UK Charts. The open-world sequel has previously held the number one spot with security, being upstaged by recent releases such as Super Smash Bros. Ultimate and Resident Evil 2, which itself was shoved aside by Kingdom Hearts III just last week. However, now that those games have found their respective audiences, it appears Red Dead is clear to sit handily on the throne, much like Rockstar's own Grand Theft Auto V before it. Elsewhere in the charts, little has changed, Nintendo range of flagship titles continue to sit comfortably in the Top 20, while popular demograph titles such as FIFA 19, Call of Duty: Black Ops 4 and Forza Horizon 4 quietly rake in the coffers. Unless Resident Evil 2 makes another play for the top spot, its very likely we'll see these long-termers holding fort for a while, unless next week's Metro Exodus proves to be an incredible sales success.